Raw visceral painful heart breaking joyous hopeful film about The City of Joy in the Democratic Republic of Congo, a place where women can go to heal and find strength in he face of the violence committed against them. It is one of the most vital, important and best films I saw in 2016 and now it is coming to Netflix. Congo has been at war with itself for the better part of the last two decades. Spurred on by various governments and multinational corporations who want to control the countries vast mineral wealth (much of which is need for cellphones and computers) various factions have been shooting each other and the population to get what they want or simply enslaving them outright. The various forces outside the country have been funding factions inside the country in order to cause chaos so they can seize control of the countries natural resources. Since the country is in a state of war there is no regulation and the miners can pillage the land. Meanwhile the militias that roam the country kill whom ever they want and commit acts of sexual violence against the women. 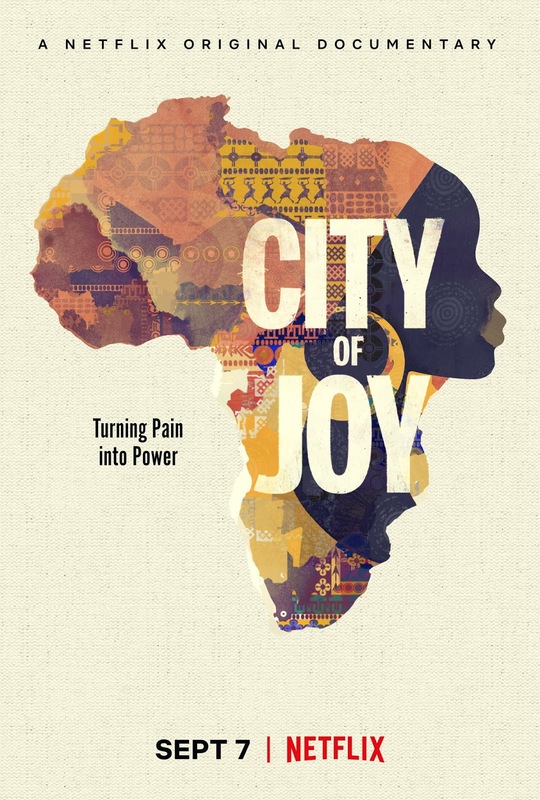 The film chronicles the founding of City of Joy by Dr. Denis Mukwege, Christine Schuler Deschryver and Eve Ensler, who were moved to so something after the sheer weight of the violence against women in Congo became too much to bear. They had to do something, and so they set up a place where the women could be safe, be taught how to overcome the trauma and become empowered to change themselves and the country. It is a ray of light piercing the darkness that is much of Congo. A mix of pained stories and of hope, CITY OF JOY is a truly special film. A visceral gut punch this is one of those rare treasures that will have you crying from sadness one minute and laughter the next. Director Madeleine Gavin beautifully modulates the the film so that we are always aware that the terrible things that have happened to these women, while never letting us forget that it is possible to rise up and become something stronger. We watch them cry and we watch them smile- and most importantly we watch the tears become laughter. How do I talk about this film? How do I critique it? I don't think it's possible. CITY OF JOY simply over comes any reservations one might have by simply chronicling how people can be stronger than the situations they are put into. It is a shining reminder that there are still good people in the world.